Imola, June 04, 2018 – Formula Imola SpA announced that from today Roberto Marazzi has begun his role as General Manager of the Autodromo Internazionale Enzo e Dino Ferrari. A demanding and formidable task, which in the coming seasons will see the Imola circuit face important challenges both regarding its main activity, Motosport, and the development of the multi-functional character that has already brought great concerts and international events to Imola. Roberto Marazzi was born in Rome on September 10th, 1951 He graduated with a degree in Political Science at the Università La Sapienza and has a long history in the field of Motorsport and the organization of major events. From 1985 to 1990, he was Director of External Relations at Flammini Racing, contributing to the launch of the SBK World Championship, the organization of World Championship races, and managing the Italian F3 Championship. In 1991, he held the position of General Manager of SEGEA Nord, a Fininvest Group company. Then, from 1992 to 2002, he took over as Managing Director of Edizioni Cioè, a leading company in the publishing sector for youths. From to 2002 until 2007, he was Marketing Director of the Eitorial Conti Editore, organizing highly successful events such as Auto Kit Show and Motolandia. For a year, he was Commercial Director of the Adria Circuit. From 2008, until 2013, he returned to the Flammini Group, as Director of the Italian and International Superstars Championship. Since 2014, he was consultant for the ACI Sports Office, promoting and organizing the Italian Speed ​​Championships. A deep passion for racing extends his background in racing with a victory at the 6 Ore di Vallelunga World Championship and the title of Italian Champion CIVT class N3 to name just a few of his accomplishments. 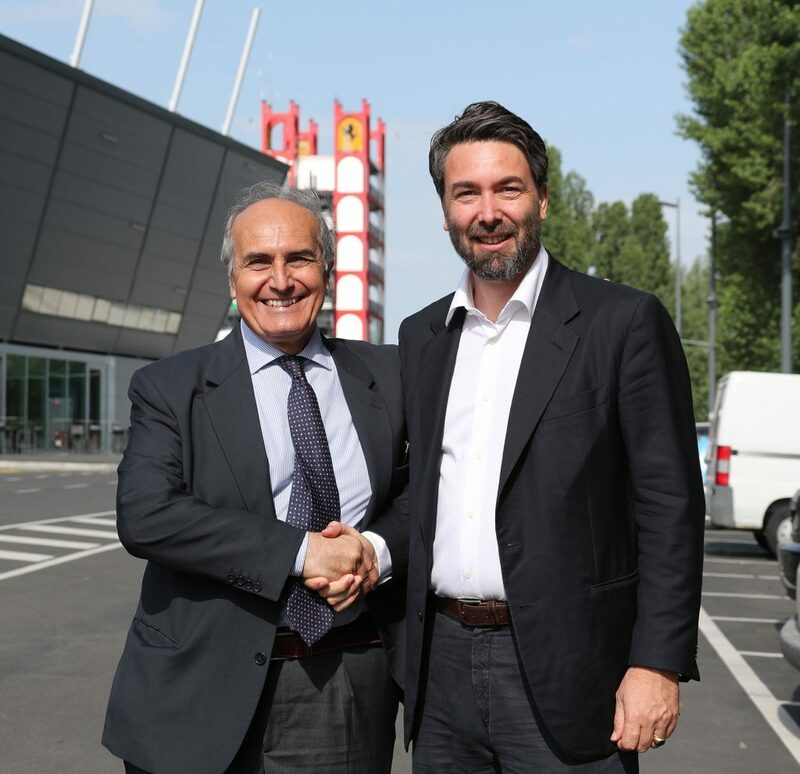 Uberto Selvatico Estense (President of Formula Imola): “With Mr. Marazzi we start a new season, keeping always a calendar filled with great events. I am sure that the tradition of the Imola circuit will remain at its highest levels achieved in the recent years, thanks to the professionalism of his predecessors and now of Roberto Marazzi, as well as of the entire Formula Imola team. New challenges and more ambitious goals are already on the agenda for the new Director, who has already anticipated his important projects. The company and the territory will certainly be at his side to contribute to the achievement of these objectives”. Roberto Marazzi (Imola Circuit General Manager): “I’m taking the task with great enthusiasm, aware of the importance and prestige that comes with running a racetrack that has charisma, history and charm like the Autodromo Internazionale Enzo e Dino Ferrari. My first goal will be to consolidate and develop the international dimension of this circuit in the field of Motorsport and motoring in generaI. At the same time, I will work to bring back great musical and cultural events that have characterized these past years, and for this I want to thank those who came before me. Arriving mid-season is never easy, whatever situation you face, but I’m calm because I have a staff of people that I already know and that I’ve already had the opportunity to witness their professionalism and great passion. I conclude by thanking President Uberto Selvatico Estense and the Board of Directors of Formula Imola for the esteem they have shown in me. I am certain that we will work in total harmony during the important challenges that await us”.